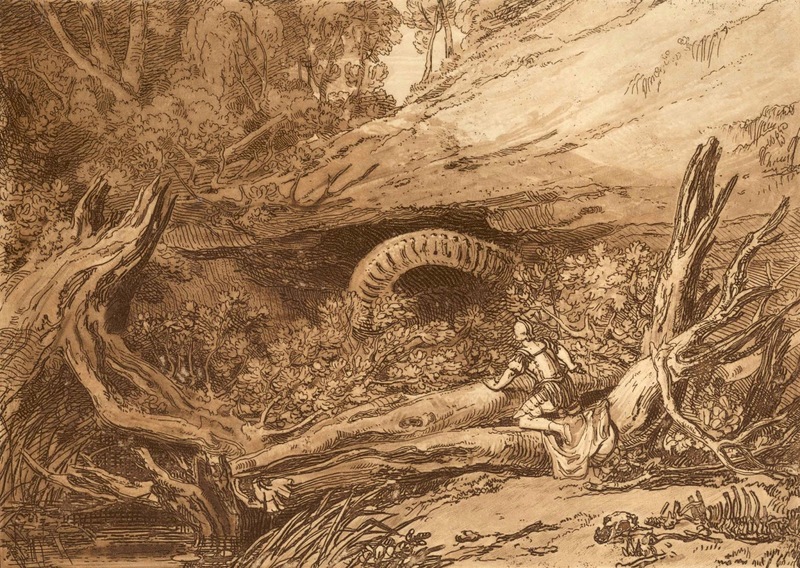 In the last post the discussion addresses the difference between Claude Lorrain’s reproduction of his paintings in drawings for his Liber Veritatius [Book of Truth] and Richard Earlom’s reproduction of the same drawings in mezzotint for the published version of the Liber Veritatius. In summary, I proposed that Lorrain’s build up of overlaid lines reproducing his paintings’ tones creates a sparkling effect resulting from white paper peeping through the matrix of black lines. 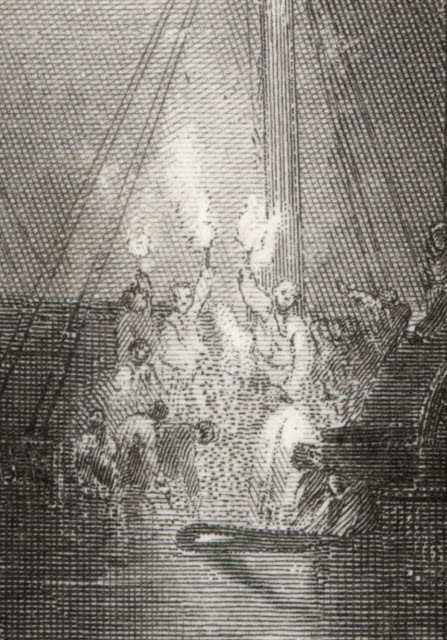 Moreover, this sparkling effect achieved by line is well suited to Lorrain’s interest in portraying contre-jour lighting—placement of the featured subject in front of the sun. By contrast, I proposed that Richard Earlom’s choice of the medium of mezzotint fails to capture this sparkling effect even though his choice of medium is effective in reproducing subtle nuance of tonal changes observed in Lorrain’s drawings. For the present discussion (Part 2 of the three instalments) I wish to move the focus onto Joseph Mallord William Turner (1775–1851) and the reproduction of his oil paintings, sketches and watercolours published in the Liber Studiorum [Book of Studies]. 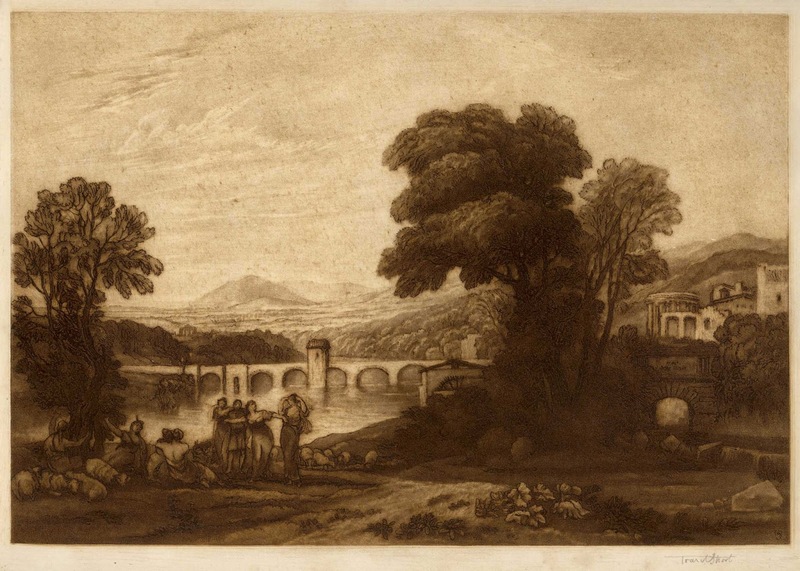 Mindful that there is already a wealth of easily accessible information about Turner’s Liber Studiorum (see, for example, Alexander J Finberg’s  J.M.W. Turner’s Liber Studiorum with a Catalogue Raisonné), I will lean the following discussion towards some of the key considerations underpinning his approach to reproducing artworks and the advice that he gave the printmakers he commissioned to translate his compositions into prints. 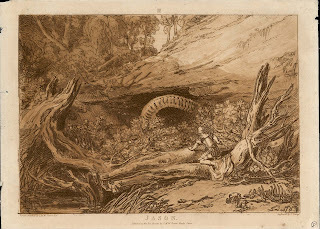 In terms of Turner’s early approach to reproducing his artwork for the Liber Studiorumm, his sixth print, Jason (shown below), is a fine example. It exemplifies Turner’s willingness to extend his translation of the original painting, drawing and watercolour (see http://www.tate.org.uk/art/artworks/turner-jason-n00471; http://www.tate.org.uk/art/artworks/turner-study-for-the-figure-of-jason-d04908; http://www.tate.org.uk/art/artworks/turner-jason-d08106) so that the print is not a literal copy of the original artworks but rather it is an artwork in its own right. Condition: a rare, very rich and well-inked impression. 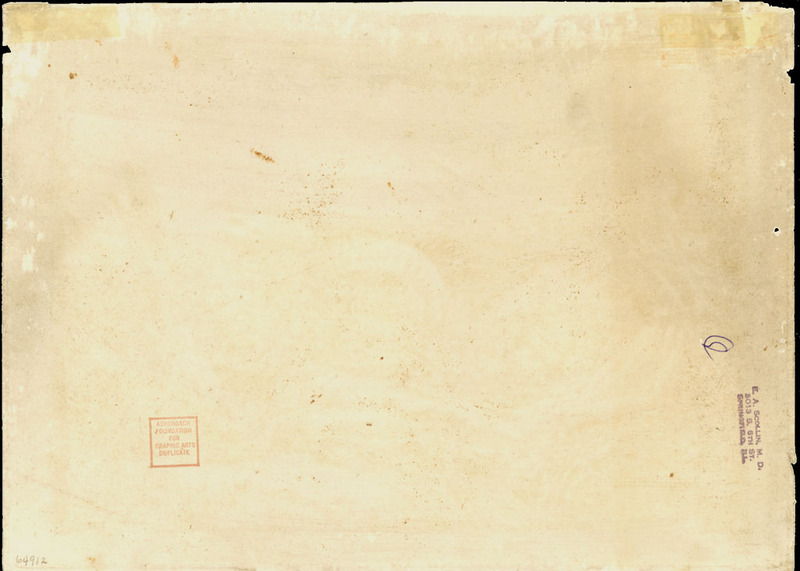 The sheet is trimmed close to the plate edge with remnants of mounting tape at the corners (verso). 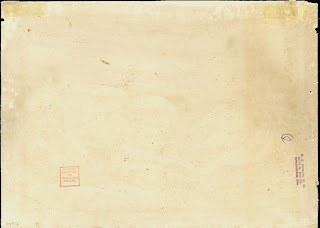 There is a previous collector’s signature mark in ink on lower right corner (recto) and two ink stamps and the same collector’s signature mark in ink (verso). 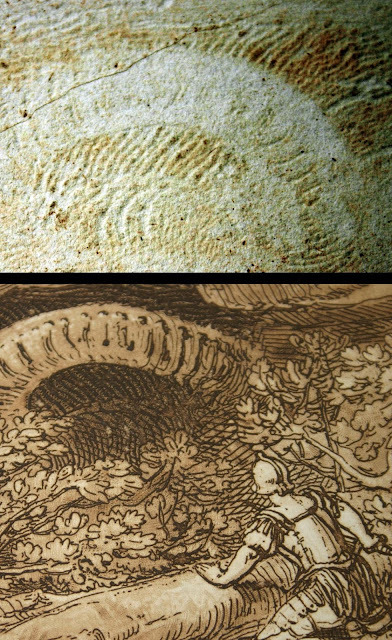 The image is in very good condition, but the margins within the plate marks have several spots, thin patches and nibbles. I am selling this print for $390 AUD including postage and handling to anywhere in the world. Please contact me using the email link at the top of the page if you are interested or click the “Buy Now” button below. 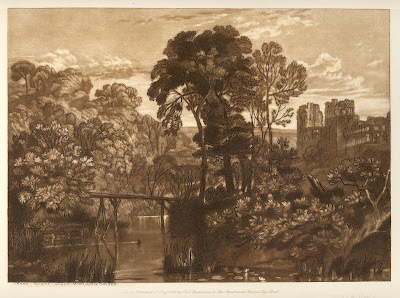 Finberg’s insight can be easily verified by comparing Turner’s relatively free use of line as seen in Jason with his formal and controlled use of line the latter print, Raglan Castle (Finberg 58: Berry Pomeroy Castle) (see below two states of each print from the British Museum). 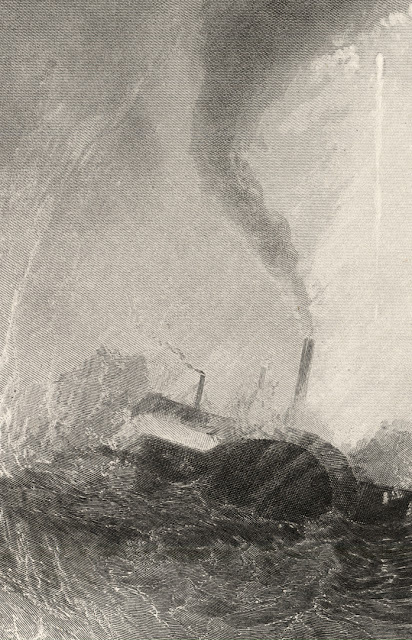 Beyond Turner's shift to a more formal use of line, described by Finberg as “free from affectation or self-consciousness” (ibid. 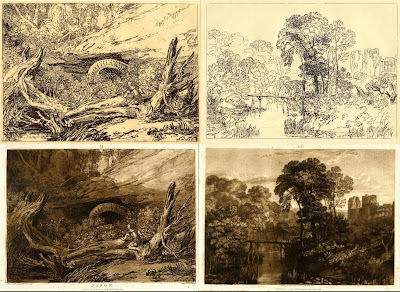 ), there is also an evolution in the surface attributes of Turner’s prints—their facture. 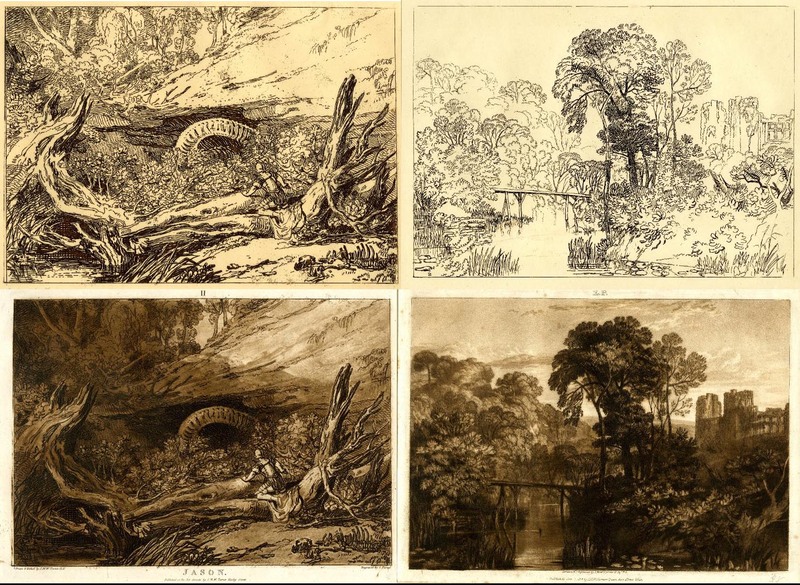 This subtle, but important, change in the surface treatment arises from the manner in which Turner etched his plates (mindful that Turner’s contribution to the creation of his prints was often no more than the initial etching phase). 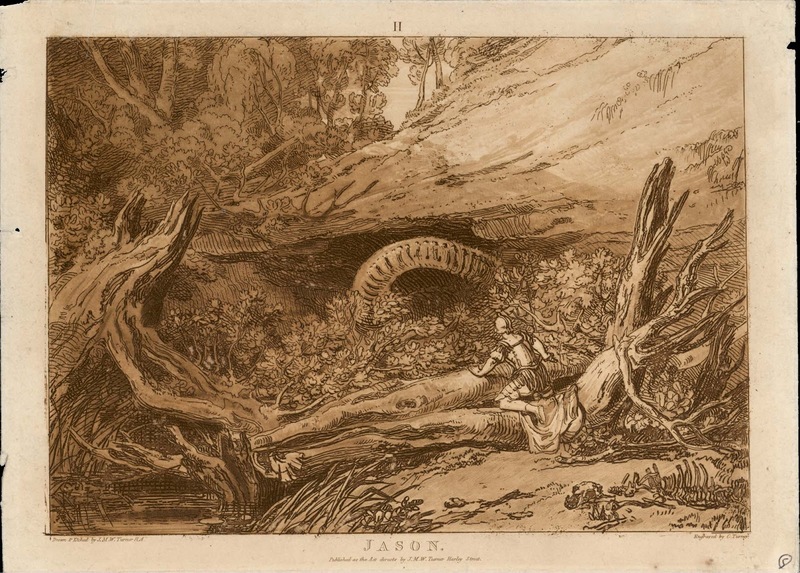 In the earlier prints, he etched his lines very deeply resulting in highly embossed and comparatively thick lines (see a photograph of the recto and verso surface of Jason below). 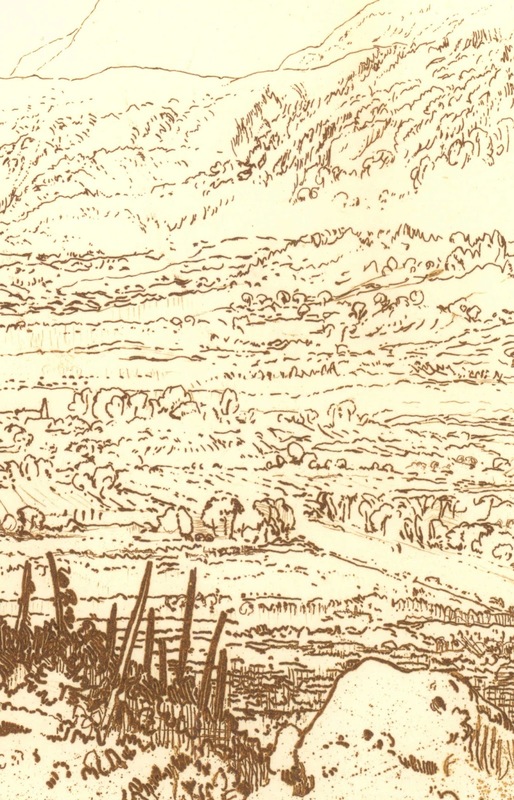 By comparison, his later prints were etched with more discipline—no doubt tuned from experience—resulting in less embossed lines. 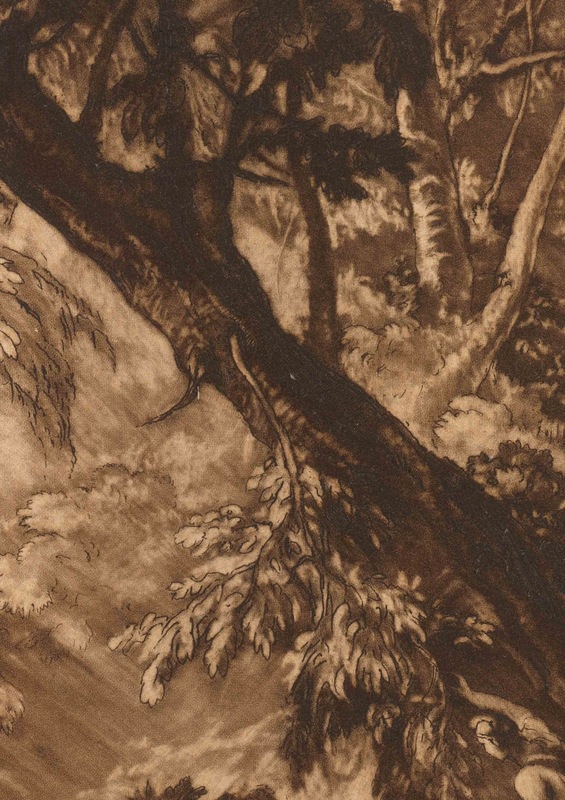 With regard to the mezzotint shading that was usually applied by printmakers commissioned for this task (e.g. Charles Turner who engraved Jason), JMW Turner’s approach to this medium also evolved from the initial prints in the Liber Studiorum to the later ones. 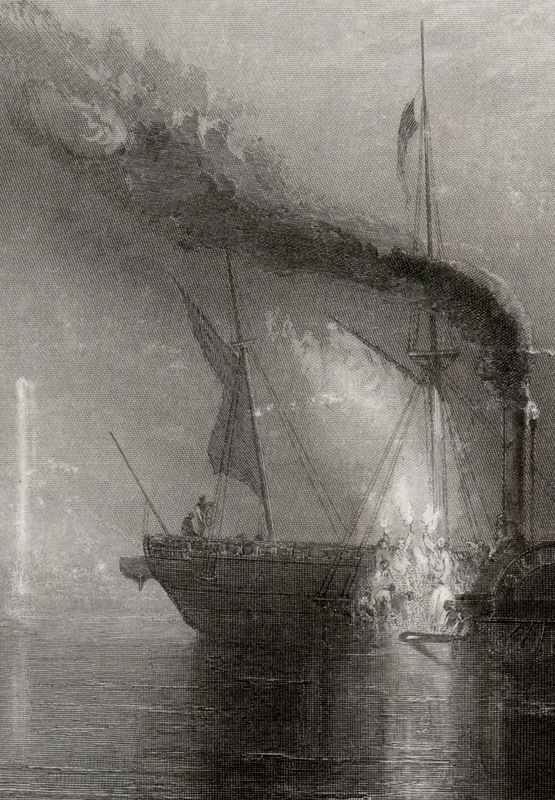 In the earlier prints Turner recognised that the mezzotint process was not entirely satisfactory for rendering skies; the medium produced too heavy a tone to match Turner’s notion of a luminous sky. 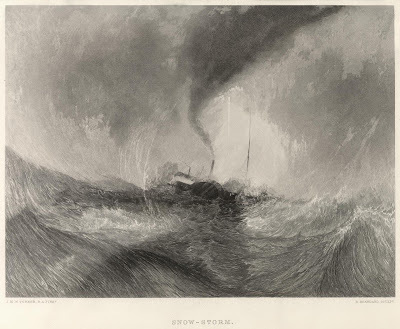 As a solution to this dilemma Turner chose aquatint for portraying many of the sky areas of his later prints as the aquatint process could produce more delicate and lighter effects than is the case with mezzotint. 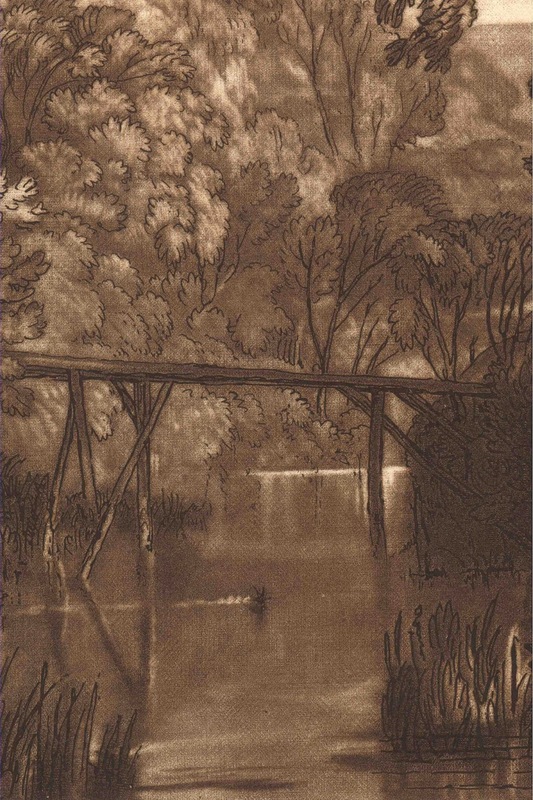 Moreover an aquatint is also more durable in terms of the longevity of the created image on the printing plate than a comparatively fragile mezzotint image on the plate. 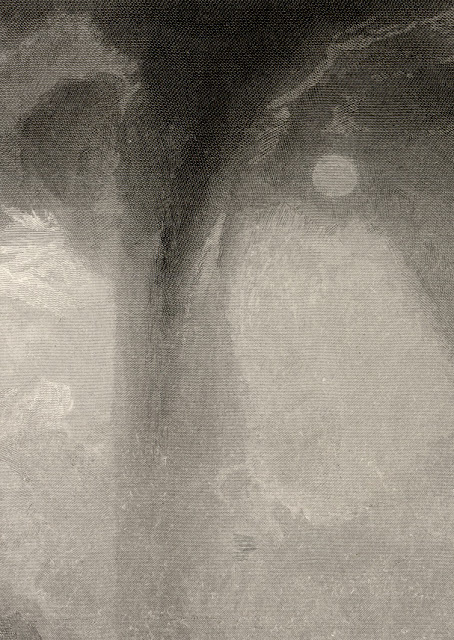 Sadly, the combination of aquatint skies and mezzotint rendering of the earth beneath does not always lead to a cohesive outcome (i.e. a “happy marriage”). This is because the two treatments when printed with the same colour of ink often “look as though they have been printed with different coloured inks” (Finberg, 1988, p. Ixix). Ultimately, this need to find the perfect tonal relationships was resolved with the technical upheaval in the printing industry arising from a shift in interest from copper plate printing processes to steel in 1823. The use of steel gave artists greater scope when reproducing tones than previously, as Finberg (1988) notes: “It enabled them to lighten the key in which they worked, and to model the lights with greater subtlety and delicacy” (p. IXXXV). Arguably this new found lyrical development in the art of mezzotint arising with use of steel plate may have been the catalyst (in the sense of the final “nail in the coffin”) that laid to rest Turner’s former enthusiasm for his Liber Studiorum prints. 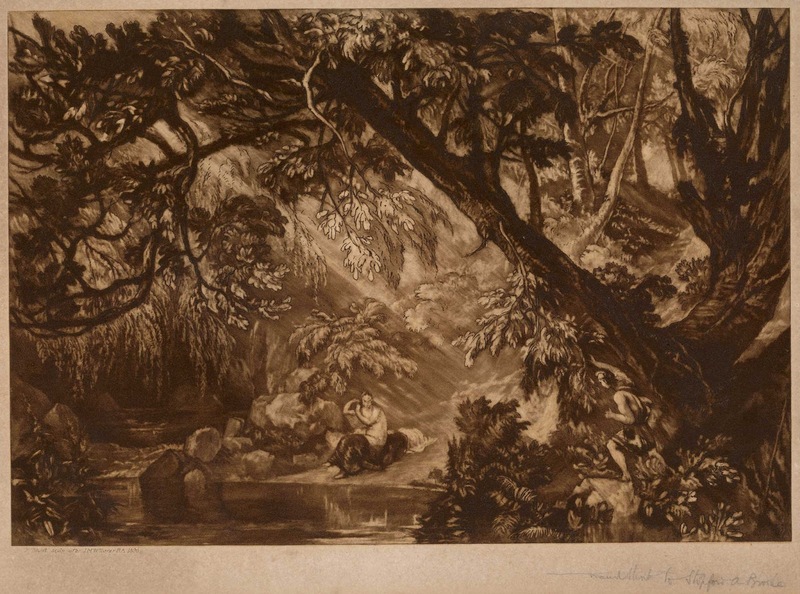 In short, one might suggest—but not this author—that the mediums employed for his prints were simply not good enough to mirror his artistic vision, in terms of capturing nuance of light of his original artworks, to compare what the new age had brought to the reproductive process. 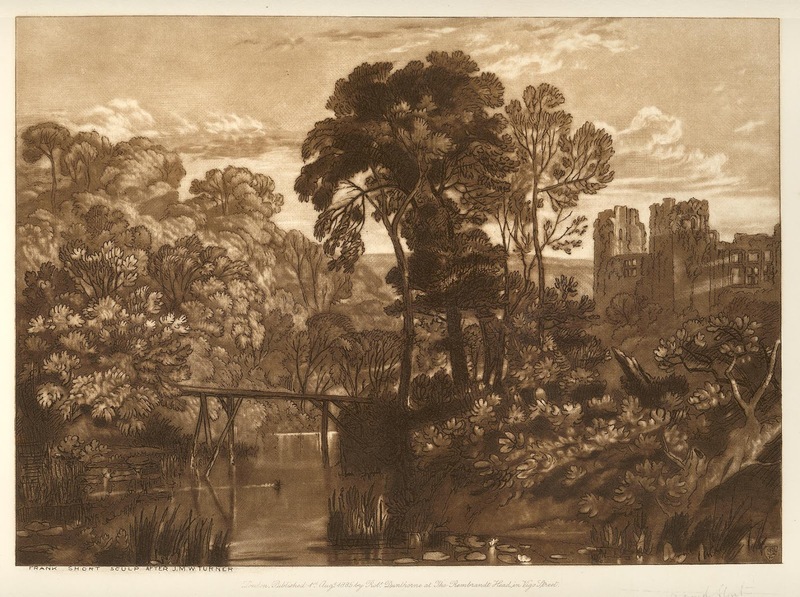 To illustrate the sensitivity that steel plates offered artists, compare the subtlety of the skies in the steel reproductive engravings of Turner’s paintings shown below. 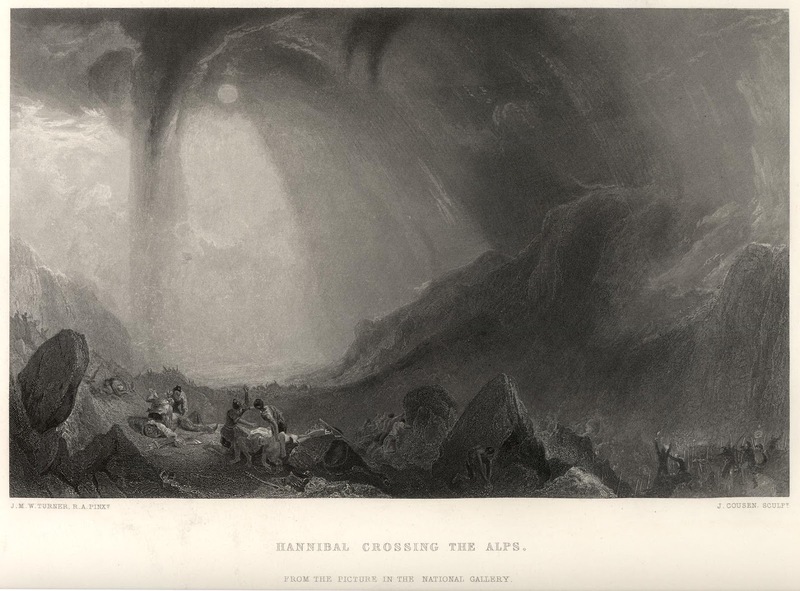 Be mindful, however, that these prints are not a part of the Liber Studorium and were executed in the late 1800s. Condition: pristine condition. I am selling this print along with the three steel engravings below (4 prints in total) for $105 AUD including postage and handling to anywhere in the world. Please contact me using the email link at the top of the page if you are interested or click the “Buy Now” button below. Condition: very good condition with slight wrinkling. I am selling this print along with the steel engraving above and the two below (4 prints in total) for $105 AUD including postage and handling to anywhere in the world. 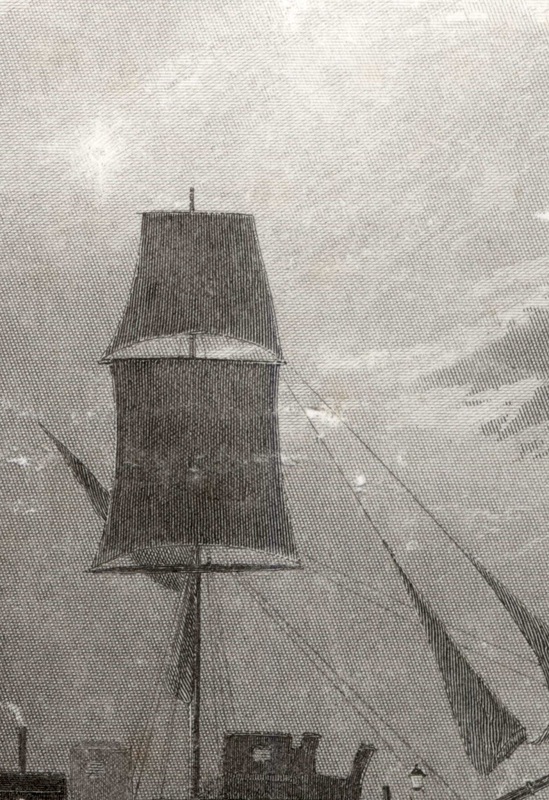 Please contact me using the email link at the top of the page if you are interested or click the “Buy Now” button (see Peace—Burial of Wilkie). Condition: pristine condition but trimmed before the lower centre text liness. I am selling this print along with the two steel engravings above and the one below (4 prints in total) for $105 AUD including postage and handling to anywhere in the world. Please contact me using the email link at the top of the page if you are interested or click the “Buy Now” button (see Peace—Burial of Wilkie). Condition: pristine condition. I am selling this print along with the three steel engravings above (4 prints in total) for $105 AUD including postage and handling to anywhere in the world. Please contact me using the email link at the top of the page if you are interested or click the “Buy Now” button (see Peace—Burial of Wilkie). One artist that chose to take a different route to steel plate engraving for reproducing Turner’s compositions is Francis Job Short (1857–1945)—better known as simply, Frank Short. 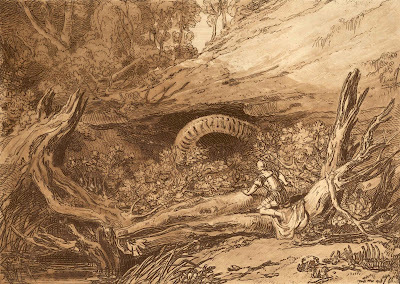 Short saw value in Turner’s approach to reproductive prints and completed Turner’s abandoned Liber Studiorum with the so-called Little Liber using mezzotint and aquatint. 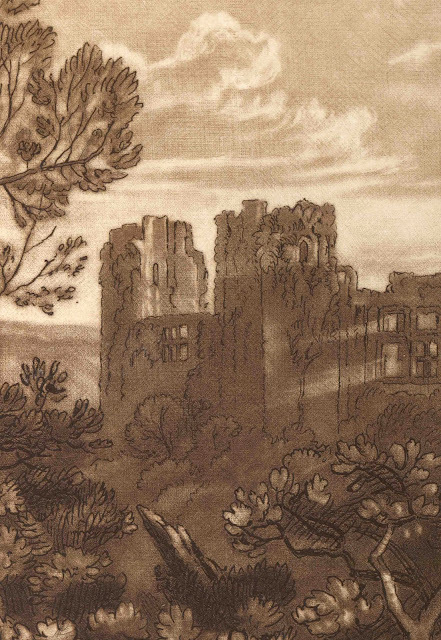 Short also revisited Turner’s original compositions with fresh interpretations, such as his version of Berry Pomeroy Castle [Raglan Castle], Aesacus and Hesperie, Aesacus and Hesperie and Chain of Alps from Crenoble to Chamberi (shown below). 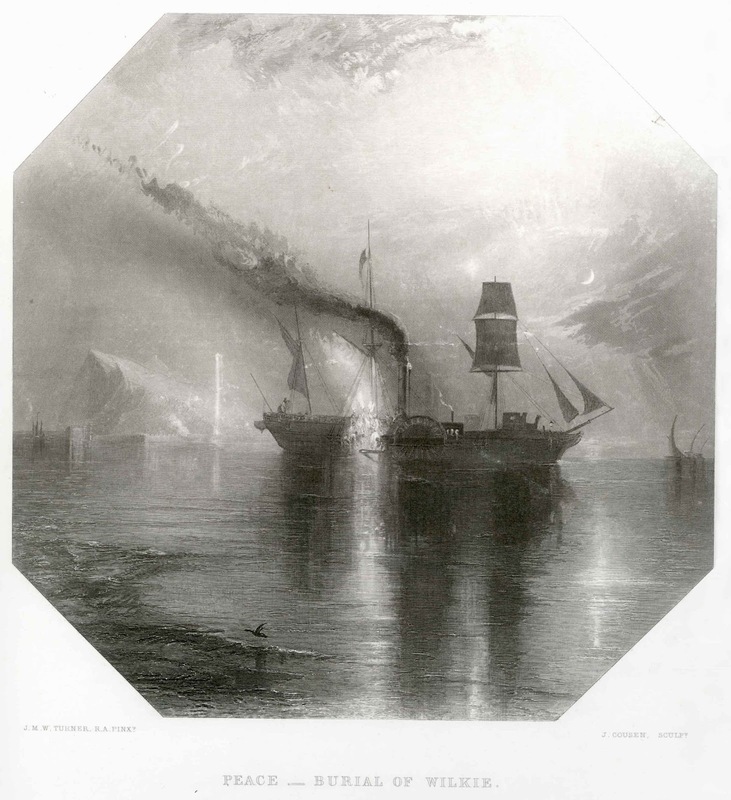 To my eyes there is no better proof that the tradition of using mezzotint and aquatint explored by Turner can surpass the delicate plasticity of engraved steel plates than closely examining the richness and subtlety that Short was able to imbue his prints. Condition: crisp and richly inked impression in very good condition. There is a 7mm closed tear on the middle right margin edge and another 5mm tear on the middle bottom margin edge. Both tears are far away from the plate mark. 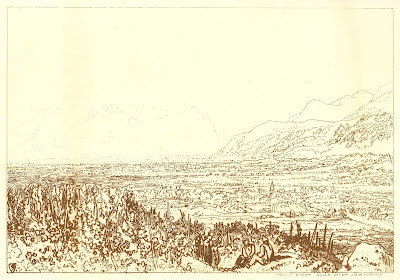 Signed in pencil lower right with dedication to Stopford A. Brooke. (Brooke was a friend of Short and is the author of Notes on the Liber Studiorum.) "Trial Proof" inscribed in pencil lower-left corner in the margin. Condition: superb and richly inked impression. There is sun toning from the print having been once framed and tape residue verso. There are pin holes in the top and bottom corner margins—revealing the print’s former role as a trial proof—and the right corner pinhole has been torn with a minor bump in the paper edge at this corner as well. Beyond these minor handling issues the print is in good condition with no foxing or stains. I am selling this print for $410 AUD including postage and handling to anywhere in the world. Please contact me using the email link at the top of the page if you are interested or click the “Buy Now” button below. Condition: very richly inked impression. There is scattered foxing on the front of the sheet but mostly visible within the margins. I am selling this print for $300 AUD including postage and handling to anywhere in the world. Please contact me using the email link at the top of the page if you are interested or click the “Buy Now” button below. Signed with engraver’s monogram on shield. I am selling this print for $110 AUD including postage and handling to anywhere in the world. Please contact me using the email link at the top of the page if you are interested or click the “Buy Now” button below. 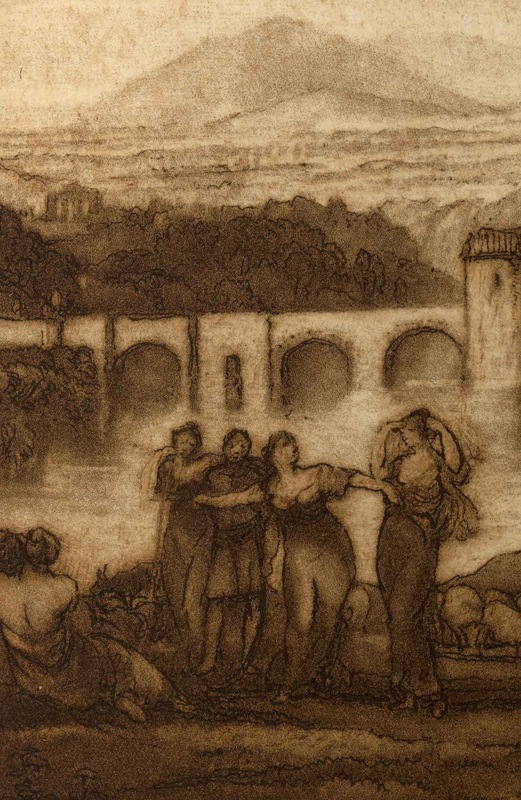 In the next and final instalment in this three-part discussion about reproductive print processes I will address John Sell Cotman’s (1782–1842) approach to a very different type of Liber Studiorum. I have three prints I found at a garage sale. All three say J M W Turner R.A. and then a different script on each printed lower left of print..
Third is a castle right center with a large river twist with cattle in fore ground left, hand colored, J C Varrell Script at left. Do you know if these are rare? Do they have great value? 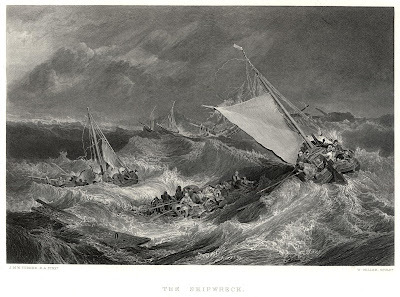 There are two types of prints by Turner: those that he oversaw (i.e. he envisaged that they were artworks on their own right) and those that were designed as reproductions of his drawings and paintings. For the first type, I recommend seeing if your prints can be found in the catalogue raisonne by Alexander J. Finberg (1988) in his “Liber Studiorum.” If they can be found here then there is a good chance that they are valuable. They may even be extra valuable if they are from early states of printing. 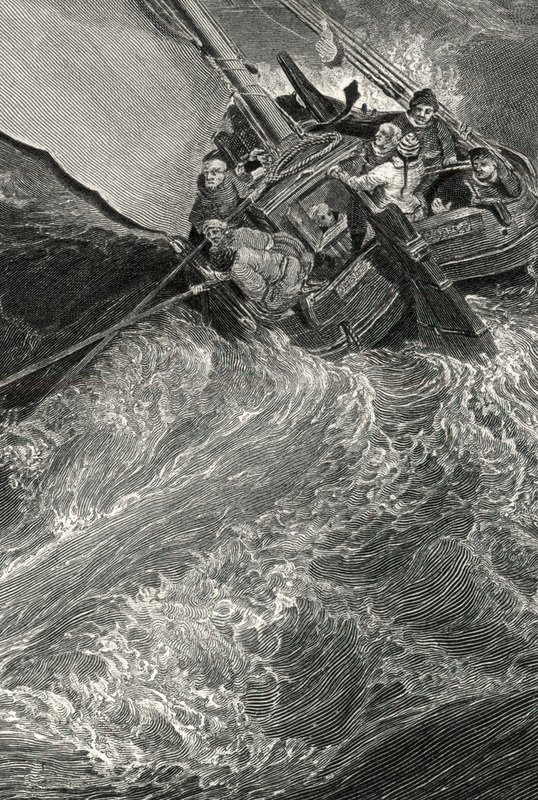 For the second type, the value rests to a large extent on whether the print is an original engraving or a photogravure. If it is an original engraving, the value varies with the evident skill of the printmaker and with the particular subject portrayed (photogravures are of minimal value). 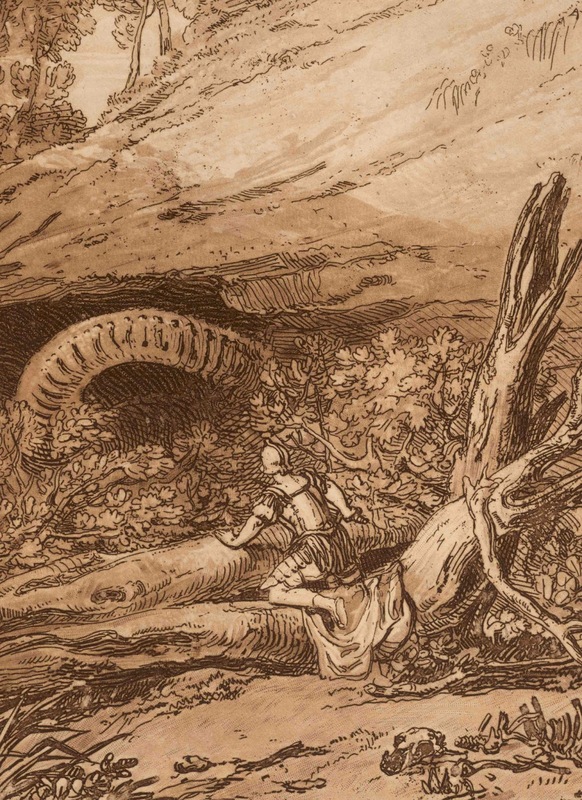 If the print is hand-coloured at the time of publication and it is well executed then this may make the print attractive (to some collectors) but if it were coloured after publication then the colouring may decrease its value. You may wish to look at Luke Herrman’s (1990) “Turner Prints: The Engraved Work of J.M.W. Turner” as it has many illustrations but the classic text in two volumes by W. G. Rawlinson (1808) may be of little use to you as it isn’t illustrated (beyond a photogravure front-piece portrait of Turner).